Would you like to learn Italian in Rome? Centro studi Gaia is the school for you! 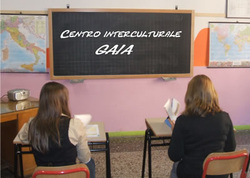 The 'Centro interculturale Gaia' is a new school of Italian language and culture founded in Rome by a qualified and experienced Italian teacher with years of teaching experience in Italy and abroad. It is a cross-cultural association whose main objectives are to spread Italian culture to the rest of the world and to foster exchange, communication and respect among different cultures.